- What does an independent hedge fund administrator do? “Administration”, in the context of Alternative Investment and Hedge Funds, (which I will refer to collectively as “Hedge Funds” in this presentation), means, in effect, the management of the Fund in virtually all aspects of the day-to-day operations of the Fund, except the actual investment of the assets, which is the responsibility of the Investment Manager. In this role, the Administrator is always answerable to the Board of Directors and does not have any actual management control. · The Administrator may also act as Company Secretary - and will therefore be responsible, amongst other things, for arranging Board Meetings, calling the AGM and preparing Board Minutes. · Depending on the terms of its agreement, the Administrator may also be responsible, for ensuring that the Fund complies with the terms of its Offering Memorandum in many ways, including, for example, the management of it’s investment portfolio, particularly with regard to, for instance, investment restrictions, such as compliance with Shariah requirements – of which more later. This is not an exhaustive list of an Administrator’s duties – but it should give you a reasonable idea of what is involved. In summary, as I said, an Administrator should be responsible for making sure everything is done to enable the fund to run efficiently in all aspects, except the management of the assets - that is the Investment Manager's task. Thus an efficient Administrator will enable the Investment Manager to sit in his ivory tower and make pots of money, without distraction. Why do you need an independent Administrator? In the Hedge Fund industry, I suggest that the main advantage that the third party Administrator brings to the table is the comfort that is provided to investors, if the administration of a Hedge Fund, and particularly the calculation of the net asset value (“NAV”) of that Fund, is being carried out by an independent third party (that is independent from the Fund’s Manager), using independent prices and transaction data sources when calculating the NAVs. Why do I stress this? Let me briefly explain - the majority – probably 70% of all Hedge Funds, of which there are now several thousand – some estimate close to 10,000 - are established in the United States as Limited Partnerships. And for the majority of US Hedge Funds, the General Partner is usually the Hedge Fund Manager and also, usually, handles the administration of the Fund and produces all of the partnership accounts, reports and statements. In the vast majority of cases, there is nothing wrong with that and, historically, the vast majority of US Hedge Fund accounts and reports have been spot-on. Please remember that I am talking about single manager Hedge Funds, which have historically and still are, on average, very much smaller than the average retail fund. Very few single manager Hedge Funds are over half a billion dollars, indeed, even today the vast majority of hedge funds have less than US$100 million in assets. This is because many, indeed most, Hedge Fund strategies are “capacity sensitive”. Not so long ago, I heard a UK Fund Manager described as “small”, in the context of the European retail market, at ten billion dollars – I would be surprised if you needed more than two hands to count up the number of single Manager Hedge Funds Managers with ten billion dollars under management. However, as those whose knowledge of this market is based on the somewhat sensationalist, and, frankly, ill-informed, articles in the press over the past couple of years (including, rather disappointingly, at least one article in “The Economist”) they will know, there have been a number of scandalous frauds involving US Hedge Funds. I would point out, in passing, that these frauds represent a tiny percentage of the universe of Hedge Funds and an even smaller percentage of the asset pool invested in those Hedge Funds. Unfortunately, these small percentages seem to be in inverse proportion to the column inches that the scandals apparently merit in the press. Be that as it may be, the reports of these scandals have honed investors’ senses and, because the majority of these frauds involved self-administered US Funds, many of those Investors now want to see that the Funds they invest in are administered by an independent third party Administrator. Therefore, I believe that the appointment of a third party Administrator can add immeasurable value to a Fund, if it means that it will retain investors in the Fund or, indeed, attract new investors to the Fund. Another advantage of appointing an independent administrator, rather than the Manager administering the Fund itself is Risk Transfer. By this I mean transferring the risk, and resulting liability, represented by, for instance, the possibility of expensive administrative errors, from the Fund Manager to the third party Administrator – or that Administrator’s insurance company. Finally, in the context of non-US funds, in many jurisdictions, it is now a requirement that an independent Administrator is appointed for most Funds, obviously excluding those managed by the larger Fund Managers who have their own separate administration companies and, of course, many such huge companies also act for both their own in-house funds and outside funds. What are the complexities of fund administration – a hedge fund versus a mutual fund? There are a number of areas in which the administration of Hedge Funds differs from the administration of the more traditional Mutual Funds or Unit Trusts. These include: the range of investment instruments; and the strategies used to exploit these instruments; the ability to go short; leverage; fee structures, including incentive or performance fees; and equalisation. The traditional Mutual Funds or Unit Trusts are, for the most part, retail funds with quite restrictive investment policies – which include: very broad diversification; no short selling; no leverage; and derivative trading limited to “Efficient Portfolio Management”, which is a Euro euphemism for hedging, but very targeted hedging (although the introduction of UCITS III in Europe has relaxed some of these restrictions). On the other hand, administering Hedge Funds is very much more complex. This is because Hedge Fund strategies utilise a vast range of derivative instruments, which can introduce pricing problems. 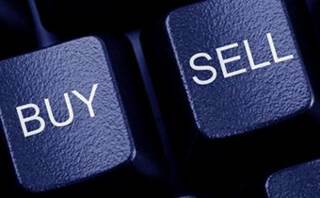 These instruments range from the relatively straightforward exchange traded commodities, financial futures and options contracts, to highly complex derivative products, which include swaps and swaptions, as well as CFDs, currency forward contracts traded on the Interbank market and a wide variety of customised instruments created by major banks and financial institutions and sold on the “Over the Counter” or OTC market. Hedge Fund portfolios, which have these exotic investments, are not inherently difficult to administer or account for, providing - and this is a big ‘providing’ - the Administrator is able to obtain a reliable and verifiable price for the investments, upon which that Administrator can base the NAV calculation. Most Hedge Fund strategies are, essentially, quite simple long-short strategies, from the obvious long-short equity fund, through merger arbitrage, commodities, futures, options and bonds and none of these present a problem, if they are traded on a recognised exchange and a liquid market. The problems come with illiquid assets and esoteric derivative products, created by and sold by just one financial institution, which is the only valuer of those assets. Again, no problem in liquid high volume markets, but if markets fall dramatically and volumes shrink, God help you, if you expect the institutions to look after Number Two – you. They will inevitably look after Number One - themselves. What is essential is that a clear valuation policy is disclosed in the offering document and some fallback plan is in place, in case the unthinkable happens, - which it inevitably will, if you don’t have any fallback plan. Where possible, an independent price source must be used. If that isn’t possible, for some reason, a reasonable, practical pricing formula must be agreed between the Investment Manager, the Administrator, and - this is important - the Auditor, before the Fund is launched and, as I say, some fallback plan, in the event that market circumstances change, is also agreed. Of course, the volatility of the Fund can be exacerbated by leverage and this can bring its own valuation problems, particularly if leverage is provided by utilising an option or other derivative instrument. Of course, the ability to go short is, itself, a form of leverage and, in some arbitrage strategies, a dramatic change in market conditions, or even just market sentiment, can decimate the relationship between the two arbitrage components, which is essentially what happened to Long Term Capital. Just a quick word here on the complexities of fees and, particularly, performance fees and equalisation. Basically, all I am going to say about this subject is that the manner in which management and performance fees for Hedge Funds are calculated, can be very complicated and is certainly never standardised, unlike Mutual Funds, which are, for the most part, charged on a standardised basis. For instance, management and/or performance fees for a Hedge Fund can be charged on a monthly, quarterly, half-yearly or annual basis, but they must be accrued for at least monthly. - They may be subject to a benchmark, or a hurdle, which could be a market index, such as the S&P500, or a specified fixed return, or a variable rate – say three month LIBOR. - The accrual of these fees, including the calculation of the performance fees, after allowing for the benchmark, then has to be adjusted in the event of a redemption, because, even if the rest of the Shareholders aren’t due to pay their performance fee yet, the redeeming Shareholder will have to pay any performance fee due on its investment. - All this is a relatively complicated accounting process, but can be achieved automatically, if the Administrator has the appropriate system. The real problems occur in this area with “Equalisation”, which is the term used to describe the various accounting processes designed to ensure that the performance fee due to the Investment Manager is allocated fairly between all Shareholders. - If a Fund starts trading at $100 per Share and the market rises to $120 at the end of an accounting period, then an incentive or performance fee will be paid, which, if it is a 20% incentive fee, would be $4. - The Investment Manager would not receive any further incentive fees until the NAV per Share had reached $120 again – the “High Watermark”. - Let us assume that the Fund suffers a drawdown to US$90 per Share, at which point a new investor subscribes. - If the value of the shares subsequently rise from $90 to $120 at the end of the fee payment period, the $30 profit made by the new Shareholder would not incur an incentive fee, because the Investment Manager would not be entitled to claim an incentive fee, until the NAV had reached $120. So that Shareholder would receive a $6 (20% of $30) ‘free ride’. As I said, most people think the ‘free ride’ was the main reason for bringing Equalisation in and they are correct. Undoubtedly, that is why Equalisation was introduced in the first place. However, mathematically, it can be proved that, if investors subscribe into a Fund between performance fee payment dates then, regardless of whether the price of the shares had risen or fallen in the meantime, some Shareholders will pay a proportionately lower incentive fee than they should, and so conversely, others will pay a higher incentive fee than they should. Thus, unless Equalisation is applied all the time, some Shareholders are subsidising other Shareholders, to their own detriment. I do not intend to go into the mathematics of Equalisation today, because it is a subject that could take up a session on its own, if not a morning, but if anybody would like to know more about this, then please see the paper on Equalisation on our Website. So I hope I have shown that administering Hedge Funds is a fairly complex task and requires a different approach to that of the traditional Mutual Fund administrator. What are the problems of administering a Shariah Compliant Hedge Fund? The next question is what additional complications does the administrator of a Shariah Compliant hedge fund face? The answer depends upon the administrator, the systems they use and which Shariah experts they are working with, with regard to Shariah Compliance. Frankly, for Custom House, a Shariah compliant fund presents few problems,– if any – because we work with Shariah Capital, who resolve any problems before we see them. In the most simplistic terms, Shariah Capital has developed a screening process which will “flag” any unacceptable investments, so that the Investment Manager of the fund can dispose of the non-Shariah investment, before we process and value the portfolio. In addition, we can interface with Shariah Capital’s screen report so we can be sure that the portfolio is, if you like, “clean”. This is going to sound like a free advertisement for Shariah Capital, but we are working with Eric and his colleagues and we have no complications in administering a Shariah compliant hedge fund, because of their screening technology. It therefore goes without saying that any administrator with access to that, or similar technology will not find Shariah compliant administration difficult. The administrator must confirm that the fund’s portfolio is compliant with the Shariah screens and can confirm the audit trail with regard to gains or losses resulting from “Error” trades. To do this competently the administrator needs access to first class Shariah Screens. The administrator must also interface with the Shariah Committee’s audit of the portfolio. Before you can select an Administrator, you must have an absolutely clear understanding of your requirements – what you want, or, perhaps more to the point, what you need. This comes down to “What to Look For” and “What to Ask”. Before you can make any decision on these, you must carry out your own due diligence. It is extraordinary to me that, whereas almost all Investment Managers would expect any sophisticated investor to carry out serious in depth due diligence, on the Manager, on the Manger's trading techniques, past performance, checking references, reviewing systems, in fact delving into everything, even today, many of those same Investment Managers, when acting as promoters of funds, often do not carry out even the simplest due diligence when selecting an Administrator, other than getting a fee quote. Let me be quite categoric – due diligence is essential when choosing an Administrator. To do this, you need to ask the candidate Administrator to complete a detailed Questionnaire – but I will come back to that later. · Get references and be clear about what the references say - and what they don’t say. I have told this story before, but I think it bears repeating. When I first moved to Ireland, I was looking for someone to work at my home. My lawyer at the time, who was a canny old bird, told me to look out for what was missing from a reference - what was written may not be quite so relevant as what was not. For example, if the reference didn't say that the person I was considering employing was sober and honest, then that probably meant that he was a drunken thief. You should look for similar clues. "I wouldn’t touch this company with a barge pole" and that is quite useful. In fact I believe that when getting a reference, it is often better to call the referee, after you have received his written reference, because he may say something "off the record" that he would not commit to writing. · Next, as a trader, you would normally "check your market". Do the same when selecting an administrator. That is to say, look at more than one Administrator - hold a beauty parade - find out what they offer. · You should, if practical, which is not always the case, visit their offices and see what they do and how they do it. · You should, quite soon, have a pretty clear idea whether they are able to offer a personal service and whether you are going to be allocated one named person as your account executive (always backed up by another named person), or whether you will be an anonymous account. Remember, if you have a query, you need know you only have to ring up "Joe" to get a quick answer - and not find yourself floating around the ethernet, wandering from extension to extension, ending up with someone saying "I can't help you, because the person who did that last week has gone fishing".